If you have a beautiful view you'd like to enjoy from your deck, you need to consider how your deck railing will affect that. Often a series of vertical balusters will create havoc with a mountain or a lake view. Of course you can use glass or acrylic panels, and the view is preserved. But those panels will need to be kept clean. On both sides. What will a sunrise or a sunset look like through streaky panels? But there is a bigger concern with those solid panels. Part of being outside is enjoying a breeze. But those solid panels will stop the breeze just as surely as a brick wall will. There will be airflow above and below the glass railing panels, but a great deal of the wind will be stopped. Now, if you live on the coast or on a windy mountainside, you may want to slow the wind down a bit. Panels may be your best option. Otherwise, fear not. 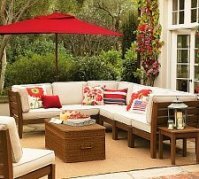 There is a solution that will preserve your view as well as the breeze. 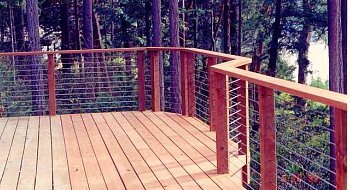 Cable deck railing systems offer an attractive and functional option that is especially attractive when you need to optimize a view. 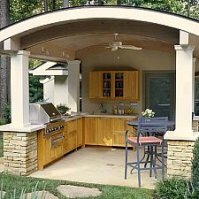 Maybe you just want a better view of the backyard you've worked so hard to develop. The best of these cables are either 1/8 inch or 3/16 inch marine grade stainless steel cables, making them essentially maintenance free. They can be used with a variety of post materials, including aluminum and wood. Composite materials are not recommended as posts for cable systems. The tension required to keep the cables tight puts lateral pressure on the posts, and composite material does not usually have adequate lateral strength to hold up under the tension. Regardless of your post material, I recommend a top rail, usually wooden. It is very tricky to balance a glass on top of a cable, so you will want to install a flat top rail to serve as both a hand rest and a drink holder. I suggest installing that top rail between the posts rather than just across the tops of the posts. The rail will then serve as a brace to keep the cable tension from pulling the posts toward each other. If you are building a new deck, and you plan to use a cable railing system, there are some things I recommend you do a little differently. First, if you are building a wooden deck, use 6 x 6 posts rather than 4 x 4 posts. Personally, I think the larger posts look better on any deck, but they are important for increased lateral stability with a cable deck railing system. Secondly, you will need to reduce the span between posts. Most deck rails are fine with an 8 foot span between posts - but with cable, 4 feet is best, no more than 6 feet. If the additional posts are an issue for you - you can use an aluminum stabilizer between posts. While these offer little lateral stability, they do a great job of eliminating cable droop and keeping the spacing even. 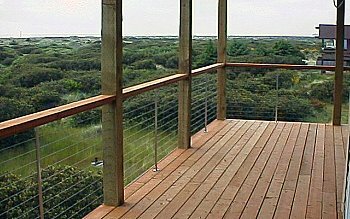 If you want to install a cable deck railing system on an existing deck, there are some special considerations as well. As already mentioned, you will like need to use an aluminum stabilizer between post or add more posts. If you have posts that are very close to the side of your house, it will be difficult or impossible to work in the area between the post and the house. If you don't have at least 4 inches of space there, forget it. But there are methods of attaching the cable to the surface of the post without pulling the cable through the post. Turnbuckles are available that will allow you to tighten the cables and get the proper amount of tension on them. You simply attach the cable and rotate the turnbuckle. As it turns it tightens onto a screw, pulling the cable tight. 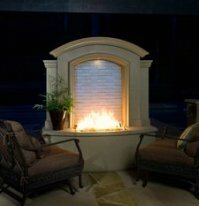 For an overview of the various styles and products available, I suggest visiting the Feeney, Inc #link_2945502 website. They even provide video instruction if want to consider a do-it-yourself option.